With E2-E4, Manuel Göttsching channeled German rock and American minimalism to create an epic work of electronic composition that still influences dance music today. Berlin, 12th December 1981: Manuel Göttsching is flying to Hamburg tomorrow and wants some music for the journey. He’s not sure what to record. He walks into Studio Roma and switches on his gear – guitar amps, an ARP Odyssey synth, two Minimoogs, and an EKO drum machine. He records two simple chords on a Sequential Circuits synth, plays them back and lets them loop. Göttsching jams out for about an hour and hits stop. He calls it E2-E4. It's a piece Göttsching had been trying to make for six years. One take: without so much as a smoke-break, he’d produced it in an hour. E2-E4 is special. It’s a danceable minimalist engine, a network built around a two-chord skeleton that celebrates the nerves within. If it sounded like the future, that’s only because it was a new version of the present; it took from the New York minimalists a different way of thinking about composition, and would surprisingly serve as a conduit of this approach for a generation of house and techno producers. Göttsching’s adolescence was spent in Berlin, a city suffering in the aftermath of two decades of unimaginable violence. War had rutted the city: when fighting ceased in May 1945, 600,000 apartments had been destroyed and the population was reduced by 35%. West Germany’s economic fortunes improved with the Wirtschaftswunder but people remained in a psychological bind. Embracing a new Germany was impossible while surrounded by the memories of the old. Teufelsberg – an artificial hill constructed from the rubble of 400,000 destroyed buildings - rose eighty metres high above Berlin’s Brandenberg Plain. Here was where the Allies dumped the debris of the old Berlin, burying Albert Speer’s Nazi Military Technical College underneath. Göttsching remembers friends playing among the rubble. The problem with this ‘new Germany’ was that no one seemed to know what it was supposed to be. The 68er-Bewegung (“the ’68 movement”) protested against an establishment containing the individuals they considered responsible for the country’s past crimes, but Germany remained in limbo. Students marched on Bonn in protest at the passing of legislation restricting civil liberties, but they were ignored. This political confusion was reflected in the music of the time: for Göttsching, “music in Germany was really finished after the war.” Popular music was Schlager, a style comprising of syrupy ballads and wholesome love-songs; it was a musical glühwein: toothless, inoffensive and, like politics, it didn’t offer the clean break that the students demanded. Göttsching found an escape from post-war drudgery in the Anglophone rock’n’roll beamed in from across the Channel. Starting out as a guitarist, he was fascinated by Hendrix’s improvisational wig-outs, and his early education came in learning those long, improvised solos. For Göttsching, rock and roll meant improvisation, and improvisation felt free: Ash Ra Tempel, the band he formed along with like-minded friend Hartmut Enke, had experimentation at its core. The band’s long jams ripped through rock’s verse-and-chorus model, arriving instead at an amorphous, echo-driven sprawl. Former Tangerine Dream drummer Klaus Schulze joined Ash Ra Tempel later that year, adding the percussive drive that became his signature sound: a kick on each beat of the bar. Elsewhere in Germany, change was coming. A group of young musicians – often with a background in experimental and avant-garde music - began to react against the old order: free-form rock collective Amon Düül were formed in a Munich commune in 1967, while future Kluster members Conrad Schnitzler and Hans-Joachim Roedelius established the ‘Zodiak Free Arts Lab’ venue in Berlin. In Cologne the following year, two former pupils of Stockhausen, Holger Czukay and Irmin Schmidt, founded CAN to explore the experimental possibilities of rock music offered by the Velvet Underground and the psychedelia of the Beatles’ ‘I am the Walrus’. 1968 was Year Zero for the new sound that gave rise to so many influential bands. It was labelled kosmische – a term coined by record-label boss Rolf-Ulrich Kaiser to market the releases – but it became a movement, not a sub-genre. There was a sense that what came before was now redundant: a new mode was needed for young Germans to make their claim to the new nation. Ash Ra Tempel released two important kosmische albums: their eponymous 1971 debut, and its follow-up Schwingungen, released a year later. Their kosmische experiments ended with Seven Up, a dubious hippie manifesto that featured ‘Turn on, Tune in, Drop Out’ Timothy Leary on vocals. The band broke up soon after, with Hartmut Enke sadly departing music altogether after its recording. Ash Ra Tempel left a legacy as standard-bearers of a new musical expression that was countercultural and experimental, vibrant and reactionary. Most importantly, it was very German indeed. The break-up of Ash Ra Tempel allowed Göttsching to realize his own sound. 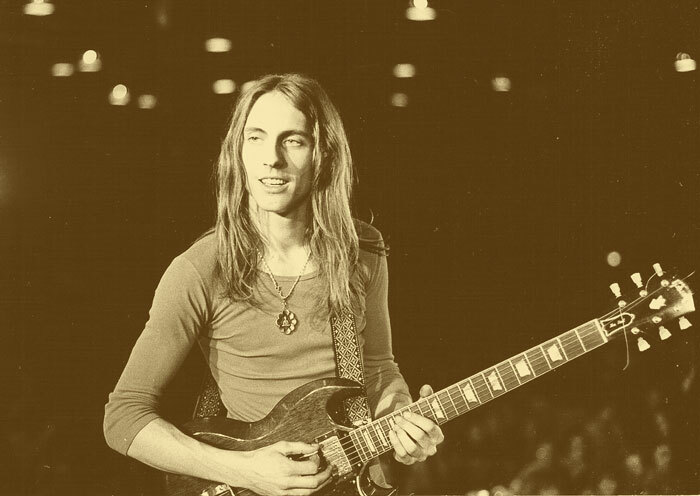 His first solo record, Inventions for Electric Guitar (1975), retained the echo of previous work and used it not just as texture, but as rhythm too. Without Klaus Schulze’s percussion, Göttsching over-dubbed echoed guitar lines on four-track tape recorders to conjure patterns that spiral and weave across the album. Gone was the sprawl; instead of railing against the system, Göttsching had created a system of his own. After pushing the guitar to its limit with Inventions, Göttsching found it impossible to replicate onstage what he had recorded in the studio with his four-track. He turned, unsurprisingly, to the synthesizer and the sequencer, applying the ideas of Inventions to this new set-up. Göttsching’s shift towards electronics coincided with an increasing interest in the minimalist aesthetic, particularly the compositions of Steve Reich and Terry Riley. 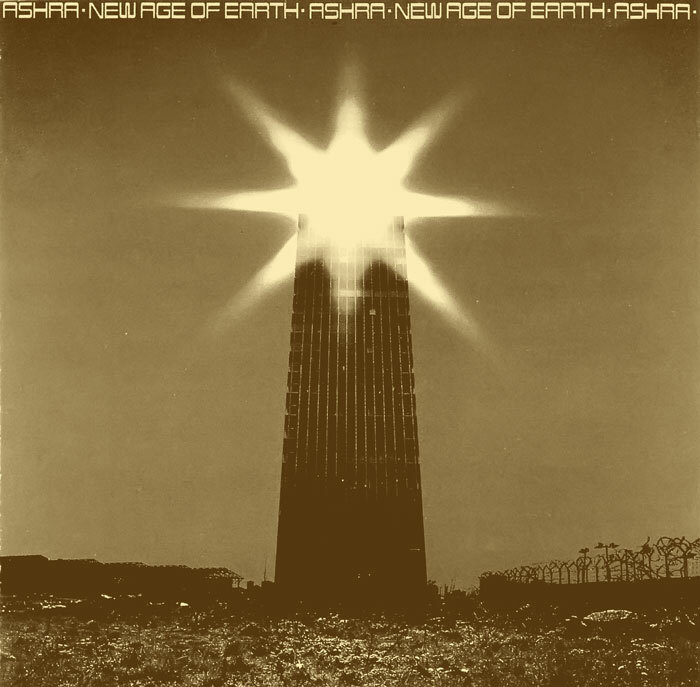 Göttsching’s first two releases as Ashra - New Age of Earth (1976) and Blackout (1977) - betray his appreciation of the New York School. He had long admired Riley’s Persian Surgery Dervishes, a long-form and largely improvised piece for organ, and found in Reich an attractive style of improvisation within strict structural limits. As with Inventions, the Ashra releases layered and phased the tracks, letting a repetitive rhythmic loop serve as the foundation for the overlapping of melodic lines improvised above. Here was a dualism: the micro-structure of the improvisation, with the macro-structure – the repetitive percussive and rhythmic skeleton – looping underneath. It’s worth considering the similarities between Göttsching, Reich and Riley. Like Göttsching’s four-track, the tape-recorder made new techniques possible; Terry Riley played spools of different lengths on separate tape-recorders, creating a musical network of overlappings and counterpoints, an idea which he realized for a large ensemble in In C. The piece, composed in 1964, comprised 53 short, numbered phrases regulated by the pulse of a continuously repeated high quaver C. The performers begin when they like, and repeat the phrases for as long as they decide is necessary. The tape-recorder featured also in Steve Reich’s pieces It’s Gonna Rain and Come Out. Reich introduced the idea of phase-shifting, a process he discovered after running two identical recordings at a slightly different speed on separate tape recorders. The time shift between the two loops allowed the recordings to go slowly out of phase with each other and return to synchronicity. Reich described it as an extension of ‘infinite canon, or round in medieval music’. Its permutations produced a multiplicity of harmonies and rhythmic relations in constant movement. Göttsching was listening. Labelling Göttsching a minimalist composer, however, is problematic. His successful ‘minimalist’ records (Inventions, New Age of Earth, and Blackout) shared little with the likes of John Cage, whose intellectual polemics – 4’33 being the best example – sought a cognitive response from listeners. Schoenberg’s serialism, which served as an inspiration for LaMonte Young’s The Well-Tuned Piano, similarly left him cold. Göttsching had always worked with the emotions of the audience in mind, and it was for this reason that he gravitated to the the warmer, fuzzier New Yorkers. His approach chimes with Riley’s claim that repetition has no purpose other than to “rouse emotional vibrations in the listener.” Göttsching felt a communality with Riley and Reich (and not with Cage) because he never severed ties with his kosmische guitar-hero past. Arriving at experimentation through rock and roll, he wanted people, more than anything else, to feel. Göttsching and the minimalists represent a particular time in history: they’re part of the same post-war generation that called for an upheaval in politics and in art. While Göttsching’s Germany struggled to escape an ideology of order and rationality that had reached its apogee in the systematic killing of the Second World War, the American minimalists were witnessing the triumph of a technological capitalism in which they felt experience had been replaced by simulation and spectacle. Tom Johnson, a minimalist composer, claimed in the Village Voice that the single most important influence on contemporary music was the infiltration of non-Western ideas. This is true, but Steve Reich’s interest in African drumming and Terry Riley’s gamelan-playing did not merely reflect an interest in global musics. It was, rather, a reaction to a domestic reality: the unfamiliarity of these alternative forms and instruments represented a subversive disruption of a codified Western musical system they considered rigid and oppressive. Göttsching’s interest in the minimalists came from the same instinct that led him to kosmische – here was a new, apparently unsullied means of expression that connected first to the heart, rather than the head. A pronounced difference gradually developed between guitar-hero Göttsching and his new minimalist incarnation. The lead guitarist had been a locus of meaning in rock – the renegade, the mystic, the purveyor of freedom – but on Inventions, New Age of Earth and Blackout, Göttsching rejected this image and this role, leaving the transmission of meaning entirely to the music itself. This removal of the artist’s subjectivity – a feature also in the improvisations of Terry Riley and LaMonte Young, and in Steve Reich’s Pendulum Music – was a staple of post-war art, and a reaction, in part, to the lingering memory of WWII’s incomprehensible violence; memories that still plagued post-war society on both sides of the Atlantic, and which had been echoed in American wars in Korea and Vietnam. How could one understand such destruction except as an absurdity? Inspired by existentialism, artists asked how it was possible to offer credibility and autonomy in a world beyond comprehension. As Göttsching distanced his work from its composer, so Samuel Beckett and Eugène Ionesco’s Theatre of the Absurd stripped away language to remove meaning rather than seek its essence. Elsewhere, the American L=A=N=G=U=A=G=E poets challenged the “natural” presence of the speaker in the poem, while Willem de Kooning and Mark Rothko’s Abstract Expressionist paintings foregrounded instinctual empathic feeling over formal representational logic, leaving the construction of meaning to the art-work itself, and to the viewer. If Göttsching’s first three solo releases attempted to free the music from the limitations of its composer, he couldn't quite manage it on his next two albums – Ashra’s Correlations (1979) and Belle Alliance (1980). It’s the reason they fail: the guitarist leads and the music follows in these albums, and what once it sounded revolutionary now seemed overweight and off-balance. Correlations and Belle Alliance represented a regression back into mainstream rock: theory aside, it all sounded a bit Mark Knopfler. Back to those chords: repetitive progressions were nothing new – the ostinato, a repetitive musical motif, is a technique old enough to have its own Latin-derived name after all – but E2-E4 barely features a progression at all. The cyclical shape of the chords establishes the track as alternative to traditional forms of rock and classical music. It seems simple: the same two chords, shifting accents; ever the same, ever different. Göttsching recorded live, allowing the piece to unfold as he moved from one instrument to the next – improvising with one line, then integrating it back among the looping figures, moving onto the next instrument and reintegrating that one too. Like Reich’s tape-spools, the ‘overlappings’ produced by this method gave E2-E4 its sound. By focusing on one line as the others repeated, Göttsching, like Reich and Riley, brought the sensation of change into focus. It was an “infinite canon”, the improvisations serving to give the other lines a new aspect. Although one line may alter, change occurs throughout: when the guitar ‘solo’ enters (probably the least congruent aspect to the house and techno crowd), you would expect it to take over. But it doesn’t – the series of rhythmic licks merely add to the accumulative process. Wim Mertens’s book American Minimal Music does a fine job of explaining the minimalist aesthetic, tracing the history and concepts of minimal music and devoting a chapter each to LaMonte Young, Riley, Reich and Philip Glass. It also explains why E2-E4 can be both a techno primary text, and a minimalist composition. Mertens begins by contrasting minimal music to the forms that preceded it. From the beginning of the 17th century, traditional Western music has been dialectical. Like a narrative, it works through a process of tension and relaxation, pull and push: there is a build and there is a release. Through contradictions that are dialectically integrated – harmony, melody, intensity, density, etc. – a physiological tension grows towards a climax and then dissolves into understanding, or relaxation. This means, however, that the music is goal-oriented, or narratively-driven. That being so, certain limitations are imposed: a linear memory is demanded, forcing the listener into contrasting periods of tension and relaxation, developing a story. At its most basic level, it’s asking the listener to use their head, and in doing so enters the world of thought and language at the expense of a more primal response. What Mertens proposes is that minimalism does away with this. The crucial term here is teleology – a concept originating from the Greek telos (purpose) and referring to the ‘directedness’ distinguished mainly in living nature. Mertens divides musical directedness into two categories. External directedness refers to the relation made by the music to the world outside of it, while internal directedness is the development and evolution of the music itself. Traditionally, Western music has emphasized an external directedness, which includes, as Mertens writes, “...the expression of feelings, the symbolization of situations and the imitations of action.” In short, it’s music with a function: the piece is directed toward a synthesis of internal musical logic and the representation of external, real-world concepts, presenting the listener with a unified and comprehensible idea in which they perceive a meaning beyond the physical sensation. Minimalism is a reaction against this. Externally, it lacks a directedness that would express human subjectivity or attempt to represent the material world through sound, while its internal directedness is not ‘goal-oriented’. This changes everything as the listener’s approach shifts as they focus on the internal processes and variations rather than anticipating a climax or imagining external representations. And again, history shows that the minimalists were not alone in feeling the necessity for this new form. Susan Sontag, in her 1966 collection Against Interpretation & Other Essays, argues that traditional art’s subsuming of form by content was diminishing the ‘actual experience’ of the artwork. E2-E4 allows us to feel more, and it does so through a structural paradox: as layers are added continuously over the rhythmic frame, an impression of immobility is produced. Göttsching produced the sensation of stasis-in-movement that Terry Riley had achieved in his long-form organ works, and so allows the listener a full experience without the need for interpretation. Listening through, it’s difficult to gauge just where you are in the piece; E2-E4 is recalled more as a sensation than as a cogent series of individual moments. The relevance of existentialism faltered in the late twentieth century in a way that the work of Beckett and Ionesco never did, and this was because the Theatre of the Absurd didn't offer the didactic certitudes of the existentialists' individualism. Göttsching and the minimalists made like Beckett and Ionesco: they removed representation to bring the audience closer to an embodied experience of art, and so remembered the importance of sensation over interpretation. The musical stasis achieved by E2-E4 and the minimalists offered the listener a heightened sensation - one critic of LaMonte Young’s music described it brilliantly as a ‘continuous present’. It took until the end of the 80’s for E2-E4’s influence to be truly felt. Göttsching released the record on Klaus Schulze’s Inteam records in 1984, issuing it in its famous chessboard sleeve and naming it after the most common opening move in chess. While the initial critical response was muted, the record would gain a certain following across the Atlantic over the next few years. By 1986, Larry Levan closed his sets at Paradise Garage with E2-E4, and it became such a trademark for Levan that he requested it be played at his funeral in 1992. In 1989, Italian house outfit Sueño Latino became the first group to incorporate it in a production of their own, sampling E2-E4 in their track ‘Sueño Latino’. Their two-chord progression was a call to the floor, sped up and recalibrated among tropical grooves, house piano, and Latin percussion. This record wasn’t for the beard-scratchers – it was sexually-charged, chemically induced and flamboyant as hell. It makes sense that Göttsching’s piece found favour in the early 90’s – it was a period when stripped-down, minimal techno came into its own. Earlier forms of dance music – the machine-funk of Juan Atkin’s Cybotron, for example, or Derrick May’s Rhythim is Rhythim – were based on a more traditional funk or disco format. Now, the minimal styles of Robert Hood or Jeff Mills were making variations on a single rhythmic theme. In the years that followed, Derrick May and Carl Craig produced takes on E2-E4. May’s 1992 mix is really a version of the Sueño Latino track. It’s a compression, too, of Göttsching’s original, abandoning the extended forms that Göttsching had taken from the minimalists, but retaining the two-chord pattern and speeding it up to meet the demands of the club. Where it differs from the original is that it offers escape not in the music, but outside of it. The title pictures a location – ‘latin dream’ – and the syncopated piano and string progressions drag you towards a club-conceived paradise. It feels great – but it’s not minimal. Carl Craig’s 1994 ‘Remake’ under his Paper Clip People alias is more faithful to the original and represents the increasingly austere leanings of the genre. It emphasizes texture, not vibrancy – the bass drum provides a rhythmic foundation from the beginning, and a central point around which layers are posited. Yet the kick drops out in the break, disrupting the continuous momentum and diverging from Göttsching’s message. It would be 1995 before Göttsching and minimal techno truly intersected. The most prescient ideological crossover between E2-E4 and its guises in house and techno comes in Basic Channel’s 1995 track ‘E2-E4 Basic Re-shape’. It’s hardly recognizable as Göttsching’s track: the rising and falling of the chordal vamp is reduced to a repetitive circuit-board patter, a 4/4 kick keeps the beat without fail, and ambient hisses alter texture and rhythm almost imperceptibly. But it does achieve that illusion of stasis: the cyclical elements and varying changes at micro-level combine to produce that paradox, and in doing so create something important to the club - a temporal dislocation. As stimulation is reduced on the dancefloor (through lighting, through visuals, through drugs), so change is brought into focus, bringing the track in communion with the original, and, like the compositions of Reich, Riley, Glass, and Young, forcing the listener into an alternate experience of time. Steve Reich has stated that the American minimal composers felt the need for a new idiom in the decades after the war. Traditional dialectic music no longer bore relevance to a cultural reality characterised by a dislocation in language and a mistrust in social order and religion. For me, Basic Channel – and minimal techno in general – works in a similar way. I can’t think of how many times I’ve been to a gig and cringed at my instinct to verbally label and contextualize tracks. This music thankfully resists that. Neither Basic Channel nor Manuel Göttsching reference a ‘Sueño Latino’ or a blissed-out utopia, and that’s important. The New York minimalists expressed a post-war disillusionment that could be traced to the existentialists and the Beat poets, through to the Theatre of the Absurd and others. Their aversion to external representation and rationality was rooted in the idea that previous modes of expression couldn’t speak the language of the present, couldn’t connect to the sensation of ‘now’. It’s testament to the strength of their vision that a decade or so later in West Berlin, Manuel Göttsching applied their logic to make E2-E4, arguably bettering the minimalists by making his music danceable; a distinction the burgeoning house and techno scene understood intuitively. The surrendering of authority by a composer shifts the focus away from the individual artist and into the music. It’s a message that remains relevant today in an age where the necessity of ‘disruption’ and efficiency often goes unquestioned, and the dogmatic pursuit of commodified self-perfection resembles the shallow, materialist, Enlightenment-era logic that Göttsching and his peers so opposed. In a culture saturated by images and texts urging the present-moment sacrifice of sensation, companionship and empathy in favour of an individualised ideal of streamlined, future-tense perfection, we must look to the likes of Manuel Göttsching, Terry Riley and Basic Channel: in their ‘continuous present’ we may feel ourselves feeling again. If you have enjoyed reading this, please consider subscribing or donating to help us continue paying our writers.